Where do you go to put the world to rights? For some of us it’s our local hairdressers, other’s it’s in the staffroom, or at our Dads house after Sunday lunch. For a few of us, it’s our local boozer. John Christie knows this only too well. Running The Golden Smog micro pub in Stockton he has heard his fair share of political discussion and has been looking at ways to turn that discussion into action. He ran a ‘We Shall Overcome’ event, which used music, spoken word and comedy to raise awareness about the effects of government cuts on those most vulnerable. 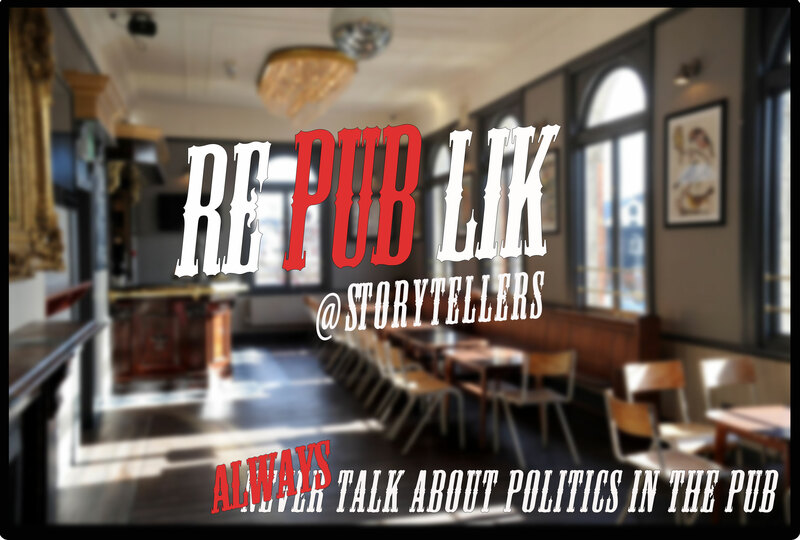 Since then, we connected around setting up “RePublik” a pub night where political debate is actively encouraged. Teaming up with myself and Adam Parkin who from a young age has been interested in politics and more recently has been promoting all the good things that happen in Stockton through the online movement ‘I Love Stockton Me’, we started taking over Stockton venues and inviting Teessiders to join us in debating issues that matter to local people. “RePublik gives people a chance to have a voice, to discuss the issues that are important to them in an environment that is safe and relaxed” says Adam. After the success of ‘Question Time at the Bar’ a similar event that was held in Storytellers in the run up to the General Election, we hoped our event titled “SSI, Jobs and Enterprise” would be even more successful. It was, we hosted a panel with blogger ‘Anna Maven – The SSI Wife’, whose powerful words have been read by thousands across the UK as she shared her heart about the steel factory closure and her fears for her and her husbands future; Rachel Lumsdon a local activist who has been at the heart of campaigning around industrial issues for many years and Chris Butler a director at Teesside charity ‘Five Lamps’ who has helped hundreds of people out of welfare and into self-employment. The event was covered by BBC Panorama, BBC Tees and The Evening Gazettte and we had around 80 people in attendance.